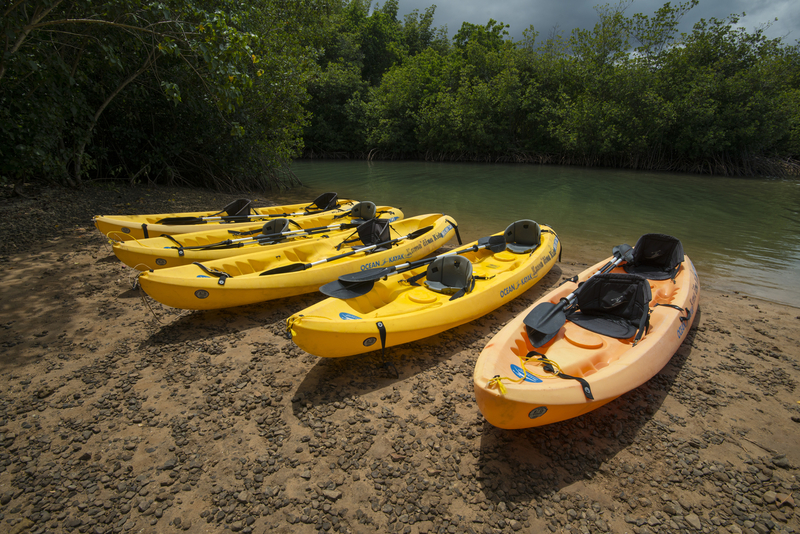 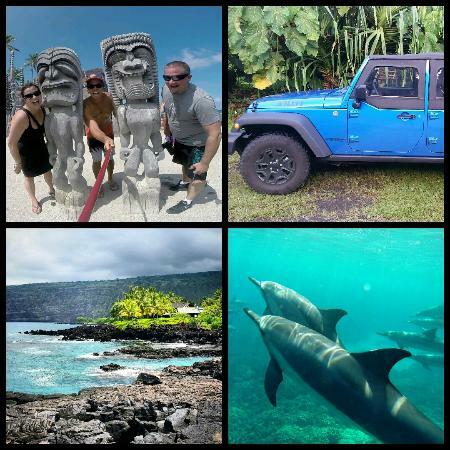 Enjoy an all-you-can-eat lunch at sea, and snorkel in Hawaiis azure waters at Turtle Canyon. 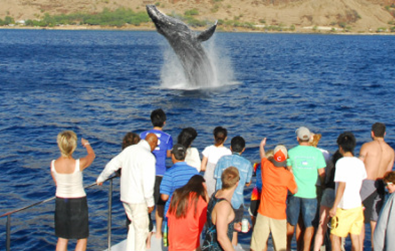 Whales visit December through April. 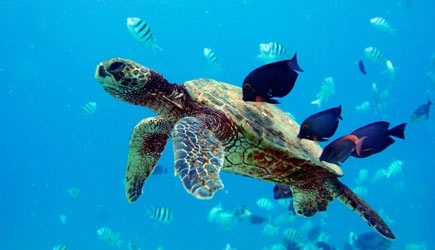 See fish, reefs, even green sea turtles at play off the Waikiki coast. 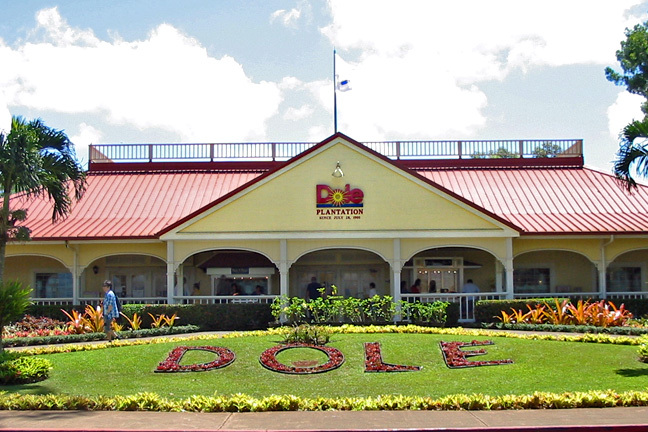 Operates daily except on Wednesdays.